Katie Dhingra is a Reader Psychology. Her primary research interests relate to suicidal behaviour, non-suicidal self-injury (NSSI), psychological responses to trauma, and psychopathy and violence among criminal offenders. Katie completed her PhD at The University of Sheffield in 2012. 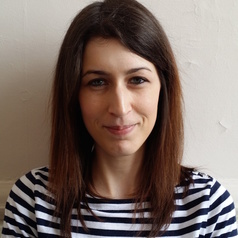 She joined Leeds Beckett University in 2015 as a Senior Lecturer in Criminological Psychology, having previously worked as a Lecturer in Psychology at Manchester Metropolitan University and a postdoctoral researcher at the University of Huddersfield. Her main research interest lies in the application of theoretical models to enhance our understanding of behaviour (suicide and criminal behaviour). She is the Editor-in-Chief (September 2015 – present) of the Journal of Criminal Psychology (ISSN 2009-3829) published by Emerald Publishing Group Ltd. She also serves on the Editorial board of Journal of Criminal Justice, and regularly reviews for a variety of high-impact behavioral, psychological, and criminological journals. She is a member of a number of international specialized Societies and Associations in her fields of interest and expertise.